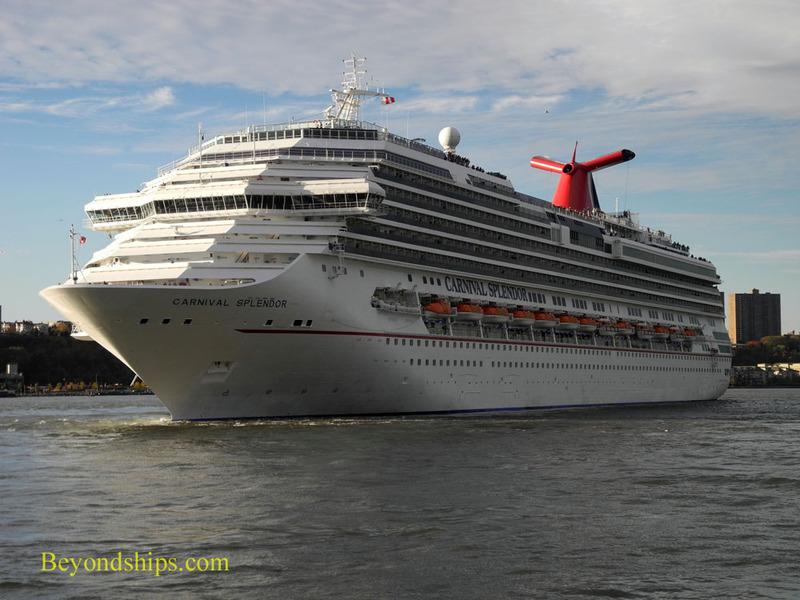 In this photo essay, we see Carnival Splendor sailing on an autumn day from Pier 88, one of three piers that make up the the Manhattan Cruise Terminal (also called the New York Passenger Ship Terminal). Early on the day was sunny but clouds came in at mid-day. However, just as Splendor cast off, the sun emerged again. Left: Carnival Splendor berthed on the south side of Pier 88. 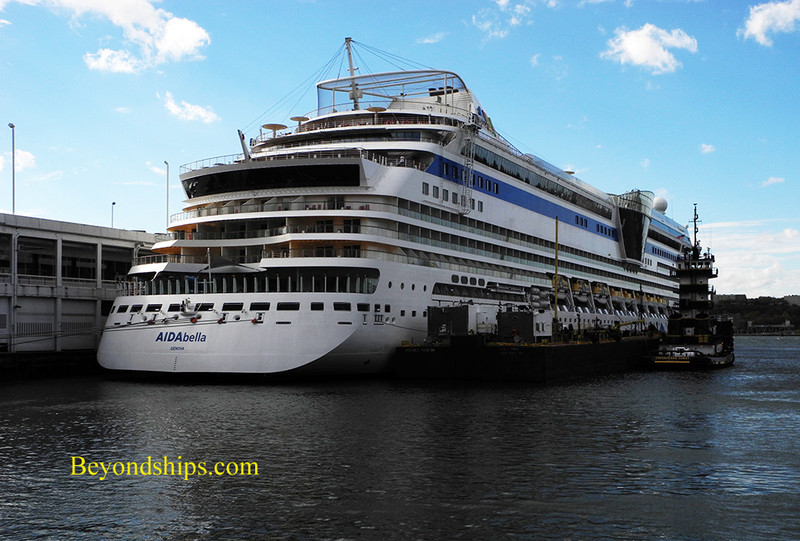 In port with Carnival Splendor were Seven Seas Navigator on the north side of Pier 88 (below left) and AIDAbella at Pier 90 (below). In the late afternoon, Splendor casts off her lines and backs slowly out of the slip, passing the submarine USS Growler, now part of the Intrepid Sea, Air and Space Museum. 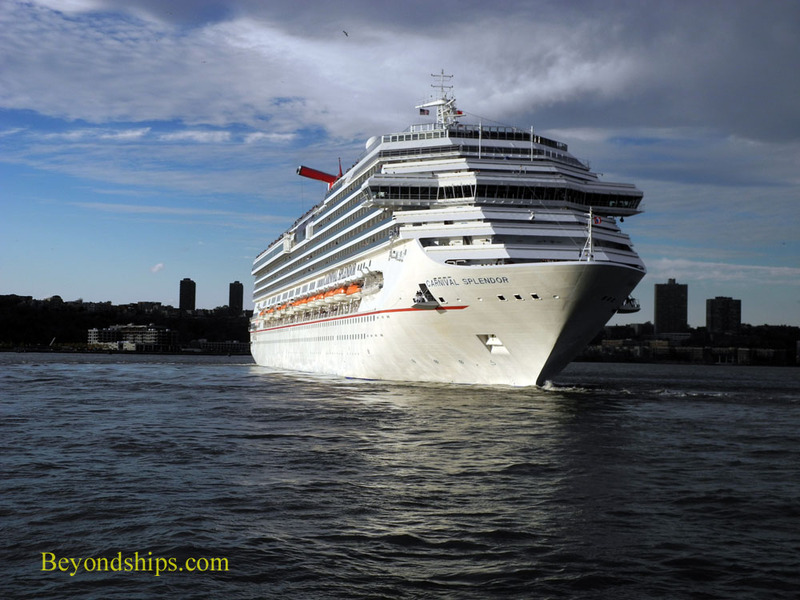 Right: Carnival Splendor enters the open waters of the Hudson River. The river's current is now pushing against Splendor's entire port side but the ship has no problem backing out to mid-river before making her turn southwards. Without the assistance of tugs, Splendor executes a 90 degree turn. Now facing downriver, Splendor begins her trip past the Manhattan skyline and out to sea.